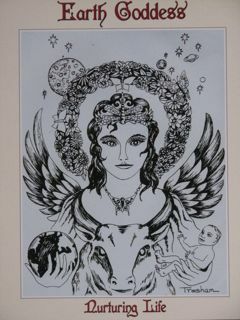 Earth Goddess type pictuing the Eath Goddess holding both the world and new life in balance with the steadfastness of the Ox. A photo offset poster art by Tresham Gregg. Special set of four for 25.